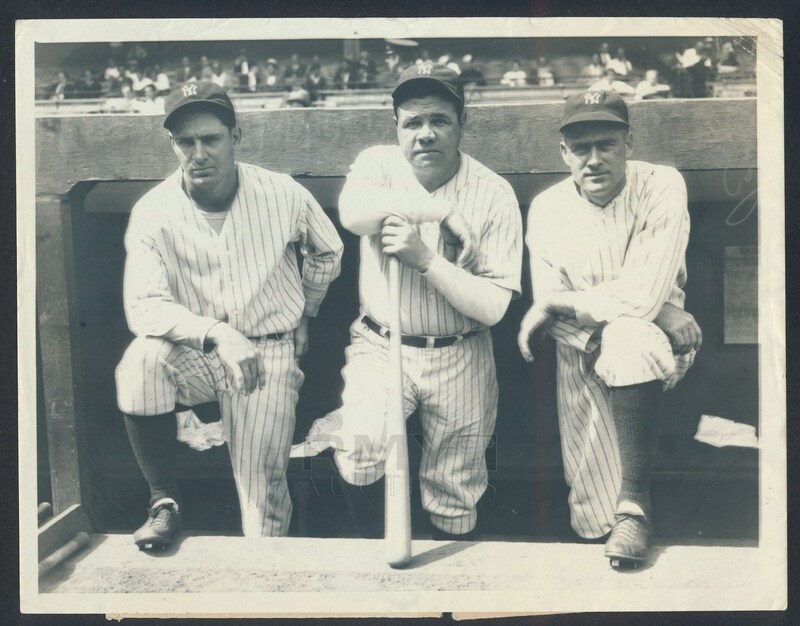 Lot # 32: 1932 Babe Ruth, "Fearsome Yankees Outfield" Trio of Sluggers Head into World Series! 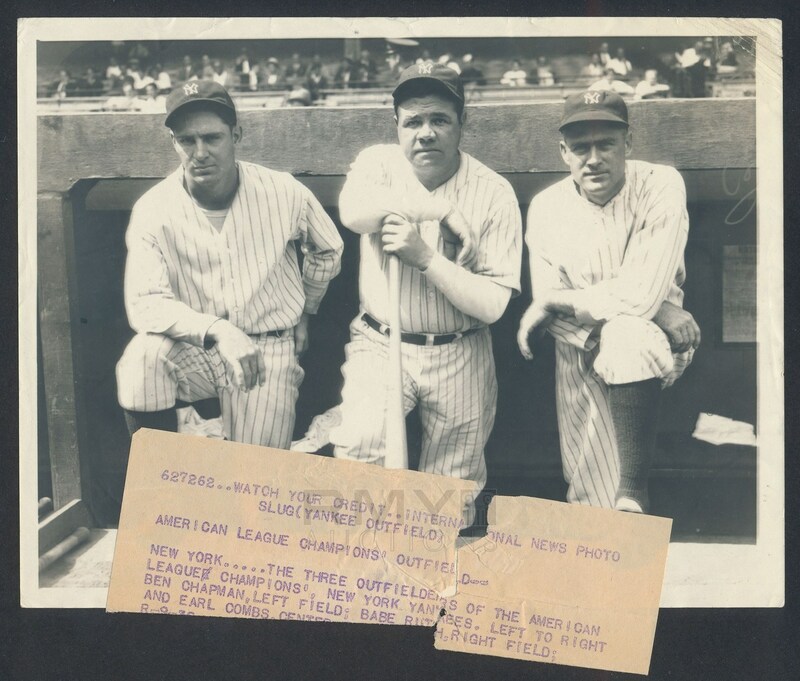 With all due respect to the Murderers Row outfield of 1927, this one might have been a touch better! Led by two of the stalwarts of the pasture Babe Ruth and Earle Combs, the other outfield position this season was anchored by young Ben Chapman who led the league in stolen bases and scored 101 runs! A fantastic image in nice condition (upper right corner creasing) which shows Babe Ruth front and center! 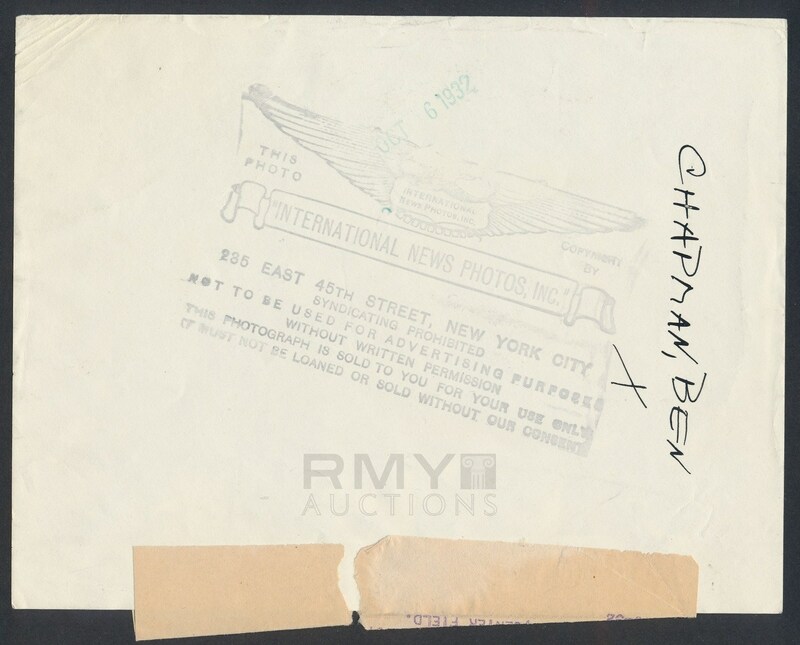 Issued by the International News and stamped on the back with a full paper caption, this is an investment quality image of the great Bambino!